"Designer of interiors, custom furniture, lighting, fire screens, and all kinds of beautiful things for the home. I love to create!" 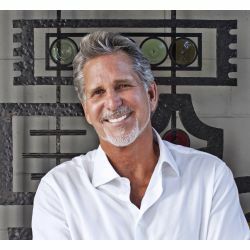 Philip Nimmo established his eponymous design firm in Los Angeles in 1990, starting with residential interiors and subsequently launching a product line featuring custom-designed home furnishings and iron work. In the past 25 years, the company has grown to have a global presence. Today, the firm’s interior design projects encompass residential, commercial, office and hospitality.